3-3 in Cinci top of the ninth. I believe I hear wooing in the crowd. Raise the Jolly Roger before Inge pinch-hits for it. 11 shutouts in 68 games...that's just incredible. Raise it before they see the pledge pin on Flounder's uniform. Raise It.....now off to the see the epic Cumpton/Kershaw matchup tomorrow. shafnutz05 wrote: 11 shutouts in 68 games...that's just incredible. 24 wins at home leads MLB. Grilli leads the NL in saves. Best Pitching Staff in baseball (when healthy). 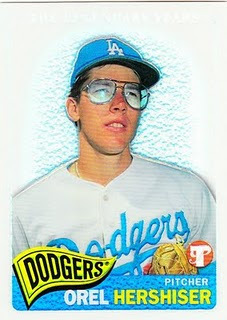 shafnutz05 wrote: What is it with the Dodgers and pitchers with eyewear? Finally got to see a win this season. Granted it was just my third game, but I got to witness two of the 12 home losses. Opening day and the only loss to Houston. Both of which were Burnett starts. Back at it tomorrow where the Brandon Cumpton era begins. Shame Dejan is on vacation- I'd like to see him write, "yeah, the Pirates are 11 games better this year than they were at this time last year, but they're 3 games back of first just like last year. So they aren't really any better. Fire everyone." I have a Wandy like crush on Bud Norris, so if the Pirates got him, I'd be thrilled. TheGhostofGoulet wrote: I have a Wandy like crush on Bud Norris, so if the Pirates got him, I'd be thrilled. I know "you can never have too much pitching" but I'm pretty comfortable with a rotation of Burnett, Rodriguez, Cole, Locke, and Liriano if everyone can get healthy (and I'm aware that looks like a big "if" right now too). WAY more comfortable than I was with Burnett-JMac-Karstens-Correia-Bedard at this point last year. I'm much more worried about finding a reliable option for RF considering Tabata is MIA again and Snider has fallen off a cliff. Another real, legitimate bat in the lineup would look great right now, even if only a rental for this year. If we could get both a solid bat and starting pitcher without gutting the farm that would be great but if I had to choose one I'd go all-in on the bat this year. Rocco wrote: Shame Dejan is on vacation- I'd like to see him write, "yeah, the Pirates are 11 games better this year than they were at this time last year, but they're 3 games back of first just like last year. So they aren't really any better. Fire everyone." You could just read Bowser's blog and get the same message. Zagurski has been DFA'd. White Flag, we hardly knew ye. Mercer in for Hopeless. Inge gets another start in RF this afternoon. Presley still in for Marte. Rocco wrote: Zagurski has been DFA'd. White Flag, we hardly knew ye. See...we could have used him to throw at someone in that Giants series. 1 inning ist ballot HOFr. Guy wasn't exceptional at Indy but he seemed to have good stuff. Cumpton strikes out the side, and Presley starts the inning with a double. What planet is this? 1st and 3rd, 1 out, Basura Caliente striding to the plate. Tabata is still on the DL from what must be the worst hamstring strain ever. Hasn't started a rehab assignment, though that may happen this week I believe. Walk loads the bases for Martin. Decent fly ball here, please.